As a volunteer teacher, Tharscika Ramaneekaran remembers a student telling her why she wanted to learn Tamil – she could not understand her grandparents. Tamil is one of the world's oldest languages is spoken by more than 80 million people. But after thousands of years, many physical copies of its rich literature and history are now gone. Ramaneekaran, a third-year biochemistry student, said this is why having a chair in Tamil studies at University of Toronto Scarborough is so important. Ramaneekaran was one of several performers at the first Tamil Heritage Month celebration hosted earlier this week at U of T Scarborough. 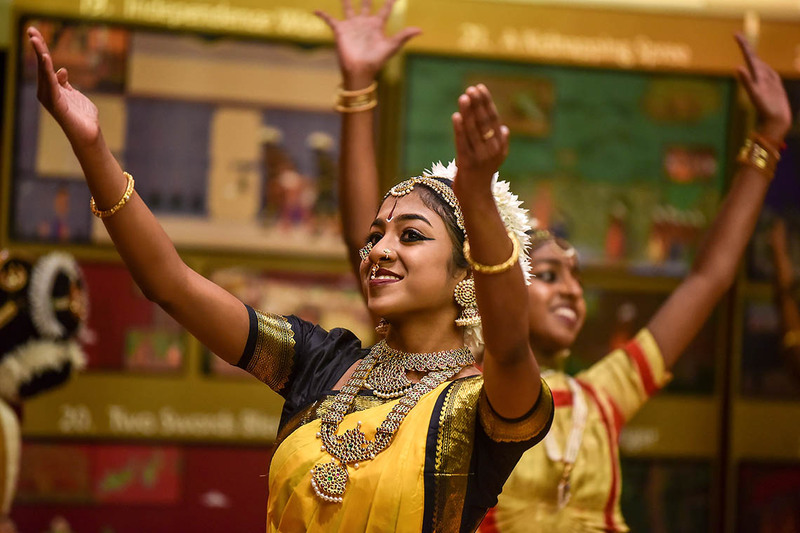 The event celebrated the Tamil community and was a fundraiser for an initiative to bring a full-time chair in Tamil studies to the university. The event was created in collaboration with Tamil Chair Inc. and the Canadian Tamil Congress, two non-profit organizations that pledged $3 million in 2018 toward creating a chair. The funds will support the chair’s work to research Tamil language, history and culture, and develop an academic program for Tamil studies. U of T researcher Brenda Beck first brought the tale to Canada and the U.S. in the late 1960s. “I hope this will be the first chair, and the first university, that will expand to give value and importance to the folk traditions of Tamil culture,” Beck said.